Product prices and availability are accurate as of 2019-03-24 07:14:02 EDT and are subject to change. Any price and availability information displayed on http://www.amazon.com/ at the time of purchase will apply to the purchase of this product. 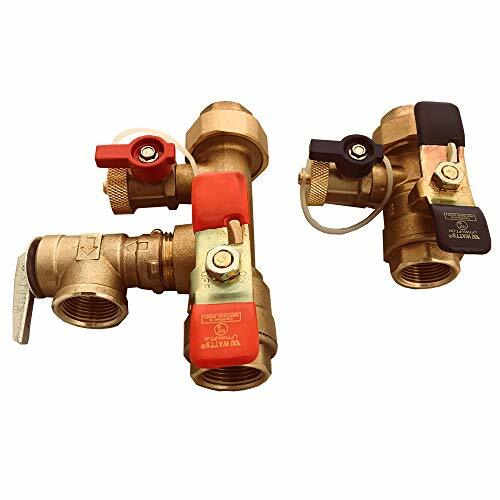 Watts 3/4-LFTWH-FT-HCN-RV Tankless Water Heater Service Valve Kit with 150 PSI Pressure Relief Valve. 3/4" Isolator Valve with drains. Lead Free.